Sitting all day being glued at your computer is the current picture of today’s workforce. While there’s nothing wrong with making a living, there’s definitely a problem when it keeps you inactive for several hours every day. Basically, sitting at your desk throughout the day can wreak havoc to your back health in the long run. Your spine will be one of the first casualties as you feel pain, stiffness, and soreness. Sitting all day can also cause contraction in your lower back and hips. Bottom line is that sitting non-stop is bad news for your back health and, ultimately, for your general well-being. So, it is only crucial that you make up for your all-day sitting with some physical engagements. This is to help you reduce work-related back pain caused by sitting for many hours. Here are the things you can to take care of your back if your job requires you to sit all day. There’s a proper way to sit and the reason this is regarded as the proper way is that it doesn’t do much damage compared when you’re slouching at your desk. If you’re keen on reducing the negative effects of sitting all day, the least thing you can do is try your best to sit aptly while you’re working. For instance, your desk and your chair being positioned at the right height can make a great deal of difference. It is vital that your feet can touch the floor or a footrest. It’s not also ideal to cross your legs while working at your desk. Your upper and lower arms must be in the right position and there should be a space below your keyboard so that your wrists will have something to rest on. In addition, you can tell that you’re sitting properly when you can look straight ahead to see the computer’s screen. Surely, not all furniture is made the same. 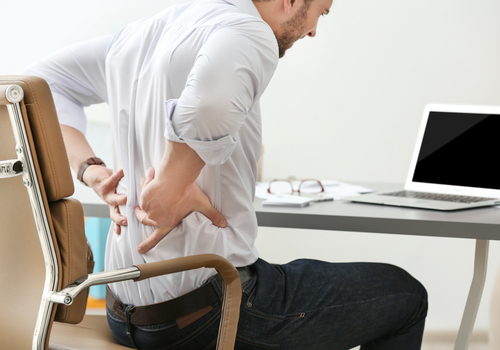 The right office furniture can help deal with your back problems as well. You can check with a specialist to seek the most ergonomic furniture pieces that can be good for your back pain if you want to be certain. Ideally, your chair should prop up your lower back and be bendable. If this doesn’t address your back issues, you can get a standing desk or a kneeler chair to find the right posture for your body. Sitting consistently for hours can be bad for your back health. That’s why it is important that you take breaks. For instance, you can get up to make a cup of coffee or just go outside for a quick stroll. It is important that you break the long hours of sitting by stretching and moving your body, no matter how tiny and insignificant the activity may be. Whatever it is you’re doing, maintaining proper posture is a must. However, getting pre-occupied with work makes it easy to forget how to sit suitably. As a basic tip, your shoulders must be down and your stomach and your bottom should not be protruding. Essentially, your posture should persuade all of your muscles to function right in order to steer clear of strain in your back. A great massage and herb like kratom for pain can help improve your back’s well-being by working on all of the tight knots. Through this, tension brought by poor posture can also be released. Even though it cannot guarantee that your back pain won’t happen again, a massage can help alleviate pain momentarily. This low-impact activity is designed to fortify your muscles and release tension. You can actually make your core stronger through the guidance of a trainer. Your core, basically, is the band of muscles around your stomach and back, which aid in the sustenance of a great and healthy posture. These muscles also have an impact on your entire physical strength and capacity sit and stand properly. If the problems in your back have been bugging you for a significant period of time, it’s just ideal to consult an expert. By seeing a physiotherapist, you can know where the areas of tension are. You can also get recommendations on what kind of workouts to do to target these certain tensions. Most of these exercises are simple enough to be performed at home or even in the workplace. By doing them, you’re helping yourself alleviate pain and fortify your muscles. Naturally, you shouldn’t endure back pain, especially if you know this is caused by sitting for many hours. 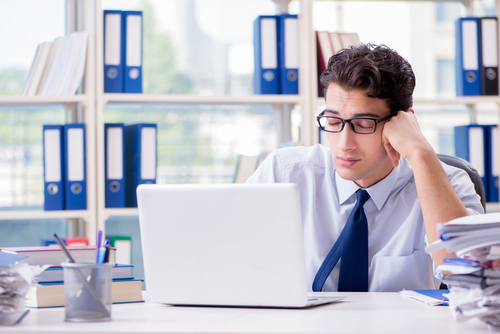 If you want to eliminate this issue from your life, you also need to do your part by improving your work set-up, making an effort to fix your posture and getting professional help to alleviate back tension.